A very special thanks to Doris Arnold and her team for the excellent representation and support from start to finish when selling our home. We had a short timeline to sell our home, and were advised by Doris in our first meeting that she could meet our needs - she did! our home went to closing in less than two months after listing. In particular, the photos of the home (inside and out) were very professional, and a cut above virtually all other listing photos. Doris and her staff always answered questions, and responded with answers in short order. We are very thankful to have found Doris Arnold, Watson Realty, and even the easy closing that was conducted by Watson Realty's "Watson Title" organization. If ever back in the Jacksonville area we would have no hesitation calling on Doris specifically, and Watson in general. Doris made every step of the home buying process as painless as possible. She was timely, open, and responsive during all phases. My wife and I had planned a trip out of the country prior to learning that we would be moving, and Doris ensured that she was reachable during any of the odd hours we might have access to the internet. Doris was phenomenal to work with. She sold our house in just one week! She is very responsive and knows the market well. Doris Arnold made our house hunting process easy and painless. She gave advice where needed and respected our views. My daughter used Doris in November, and I just closed on my house February 15th. Doris is a pleasure to work with and she made the whole process non anxiety provoking. Doris is the best! It was her experience and knowledge that led me to finding the perfect home. She help me to stay focus to choose the home that met my desires and not to just settle for a home just because of the price. I felt that she was not only a real estate agent i felt that she was a friend. I would recommend her to anyone! Doris was excellent to work with. This is the first home we had ever purchased, therefore had much to learn about the process. Doris was always very helpful, answered our questions, gave honest feedback and we are now in a home that fits our family perfectly. We are excited for the memories we will make there. I would highly recommend Doris to anyone looking to sell or purchase a home! Doris is very professional and keeps her clients' best interest at the forefront at all times. I was obviously very nervous going into the home purchasing process, but having a realtor as awesome as Doris quickly calmed my nerves. I'm now in a home that I absolutely love and is perfect my family and I.
Doris was recommended to us by our daughter and her husband who bought a home with her help. They were very pleased with her and thought she would be a good fit for us in our search for a new home. They were so right! She was pleasant, professional and very knowledgeable. My husband and I would highly recommend her to anyone wanting to buy! Thank you Doris! I was paired up with Doris by a referral from work, and couldn't have been more pleased! She is very friendly, helpful, and easy to work with. Not once during the home buying process did I feel pressured by her, and I felt that she truly had our best interests in mind. She was able to provide answers to any questions or concerns that I had, and never made me feel like I was being a bother. I was also provided a nice resource for looking at up-to-date house listings, and was able to stay better informed than I thought I would. She was a great help when it came to setting up things like our inspection, and provided knowledgeable and professional resources. In just speaking to Doris you can tell she has a strong work ethic, and really listens to what you are saying. I will confidently recommend her to anyone else looking for a top notch real estate agent in my area. Doris - thank you again for everything! Your kind demeanor, attention to detail, and professionalism were greatly appreciated during what could have been a very stressful time. When we are in the market for our next house, I'll be sure to look you up first! Doris was wonderful to work with and we highly recommend her. She understands the market and was very communicative in explaining it to us when making pricing decisions. She worked closely with us from listing, through several obstacles and right up to closing day. Doris was phenomenal! We didn't know the area at all and she helped us to get familiar with Jacksonville and also find our dream house. The process through closing was extremely smooth because of Doris. Doris continually went well above and beyond to help us sell our home. Since we live overseas, Doris had to take on additional responsibilities to make the home ready for listing and then complete post contract repairs. She was always responsive, understanding and communicated regularly with us through the process. Without a doubt, Doris was the reason our home sold as quickly as it did for the price we received!!! 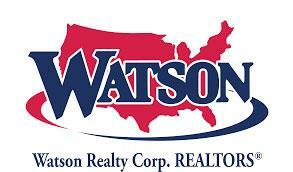 You will not find a finer, more professional agent in the Jacksonville area. She was helpful in finding the right house. We enjoyed her honest input, and knowledge of the closing procedure. I only give JESUS a perfect rating. Doris was fun to work with, and was there when we needed her. We were so blessed to have been matched with Doris Arnold . We were moving from Texas so most of our stuff had to been done long distance . I believe we looked at 62 houses and Doris was so patient and wanted to make sure we got the house that was our perfect match . We actually changed our mind a few times and Doris always stood up for us with the other realtors . When we finally found the perfect house we bought it without physically seeing it !! Doris went into the house and face timed with us showing us around the house and the property !!! We bought it and we absolutely love our new home !!!! I can't begin to thank Doris enough she was amazing !!!!!!! By far, the absolute best experience. Doris is second to none at her craft! She as always exceeded our expectations. She went above and beyond to accommodate our needs, not only when we bought our first home 8 years ago, but when selling it two months ago and providing valuable experience and insight while building our brand new home. I would without a doubt recommend her to my closest friends and family when buying or selling a home! Doris is not only a great realtor but a great person. She's sold a house to my parents, sold their house and now has sold mine. I received a contract on my house within 5 days of being listed! Since this was my first time selling a property I was apprehensive about the whole idea. Doris made this a very smooth process and spelled out all of the expectations I should have. I couldn't be more pleased with how everything was handled and how she went above and beyond by helping me when I was out of town on business. If you are looking for a top of industry professional that will work for you and truly cares, then find comfort in working with Doris. Thanks for all of your help! Doris was amazing in helping us find our home. She knew exactly what we were looking for and took us to the right neighborhoods. She thought of all the little things we never would have. We would work with her again and definitely recommend her to others. My experiences with Doris Arnold have been fabulous. Doris has helped me buy five properties and sell two. She is very professional and helpful. Best of all, she returns emails, texts and phone calls immediately. She works very hard to get you the best possible deal every time. Obviously since I have used her for 7 transactions, I have been very happy with her performance and diligence. Highly recommend! Data last updated 04/26/2019 11:49 AM. The data relating to real estate for sale on this web site comes in part from the Internet Data Exchange (IDX) program of the Northeast Florida Multiple Listing Service, Inc. Real estate listings held by brokerage firms other than WATSON REALTY CORP are marked with the listing broker’s name and detailed information about such listings includes the name of the listing brokers. Data provided is deemed reliable but is not guaranteed. Copyright 2019 Northeast Multiple Listing Service, Inc. All rights reserved.